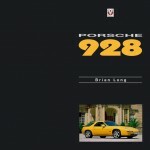 This book looks at Porsche’s purpose-built competition cars of the modern era, cars the author considers motorsports and design icons “the likes of which, sadly, we will never see again.” Marque expert Brian Long is a trained engineer with some 40 motoring books on his resume, quite a number of which have a place in the core canon of Porsche literature. He also has strong links to the factory which itself has a commendable commitment to preserving its proud history in the form of a professionally managed archive and museum. 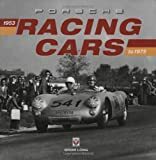 Long says he had wanted to do this book (and its companion, Porsche Racing Cars: 1976 to 2005, ISBN-13: 978-1904788454) for decades so one wonders what he thought when Anthony Pritchard published his very similar book just a bit earlier. Remarkably, even though both authors cover pretty much the same era and the same cars, of the almost 1000 photos they show combined only a handful are common to both books! Hats off to the photo researchers and the Porsche Archive for making the effort to facilitate distinctively different books, each worthy in its own right. 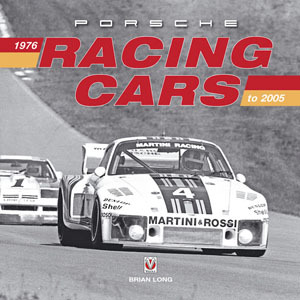 In the introductory chapter Long assumes no prior Porsche knowledge on the part of the reader and starts at the very beginning, with the birth of Ferdinand Porsche (1875–1951). 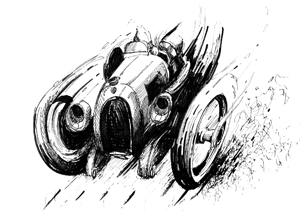 Within the space of a paragraph we have advanced to the Lohner-Porsche of 1900 and the Austro-Daimlers. Early racing successes and innovative engineering solutions distinguish young Porsche and even the intervention of two world wars does not put a lasting end to his trajectory, resulting in his association with the VW Beetle project which in turn makes possible everything this book is about: from the Spyder 550 to the 917 and including the Formula cars, and from hillclimbs to Le Mans to CanAm. 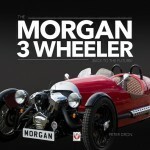 The book is divided into years, describing the cars, people, competitions, and technical and developmental issues. To the extent that such a distinction is useful to the shopper, there is somewhat greater emphasis on the cars’ construction and performance than the races or racing. 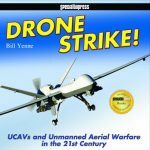 Its dominant feature is the large number of photos, which naturally means the text has to be condensed—which is not to say it is insufficient or lacking but that there is only so much space. The photo captions range from the painfully brief to the very detailed. Aside from the obvious racing photos there are many shots of chassis and assemblies. Photo sources are not identified—a pity since so many are new to the record. Also shown are race programs, posters and ads, the first plan/profile drawing of a 356 from 1947, and a cutaway of the 904. Interspersed are tables of race results by season showing the top three finishers per event (regardless of marque; a nice touch) plus all Porsches regardless of their position, driver/s, car, and laps or time except that all Porsches also show overall class position. Veloce is one of the largest motoring publishers and it is odd that their books are often rather cookie-cutter formulaic in design and presentation; this one is no exception. Also, typesetting niceties such as letterspacing lack human intervention and there’s not one German Umlaut in sight. The Index is good but does not break out the cars separately.